Stephanie Coontz is a Professor of History and Family Studies at The Evergreen State College in Olympia, WA. Stephanie Coontz is a Professor of History and Family Studies at The Evergreen State College in Olympia, WA. She also serves as Co-Chair and Director of Public Education at the Council on Contemporary Families. 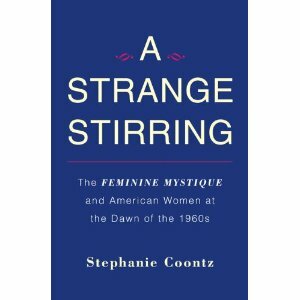 Her most recent book, A Strange Stirring: The Feminine Mystique and American Women at the Dawn of the 1960s, traces the impact of Betty Friedan’s 1963 work, The Feminine Mystique. She joins us to discuss Friedan’s legacy, the strengths and shortcomings of her famous book, and how families today have been impacted by it.